Mr Turnbull admitted three charges of causing unnecessary suffering to Rocky, and was jailed for 20 weeks at Northampton Magistrates' Court on Tuesday. He has also been banned from keeping animals for 20 years. 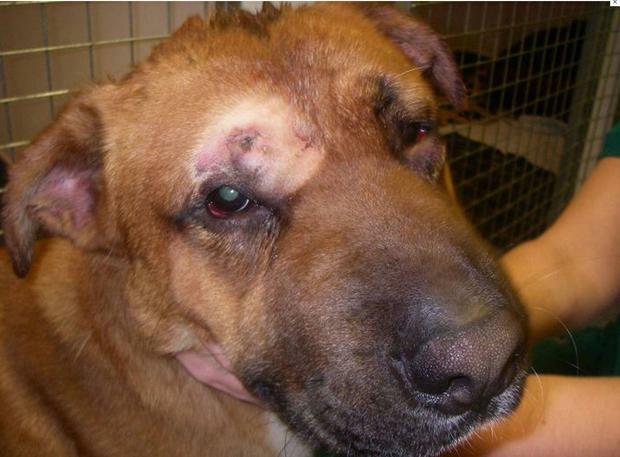 RSPCA inspector Michelle McNab said: “This was a truly unbelievable case that involved immense suffering to the dog. ”Fortunately, Rocky was found and amazingly he survived. He has since been rehomed to a loving family."